One of the safest, most reliable, and efficient cooking fuel is liquefied petroleum gas (LPG). By simply making sure that replacement tanks and accessories are properly installed and placed in well-ventilated kitchen area, this cooking fuel brings convenience to many homemakers, letting them cook hearty meals for their families and loved ones. Leading LPG solutions provider Solane shares the following 7-point safety check to ensure you enjoy worry-free and reliable hours of cooking using this dependable kitchen partner. 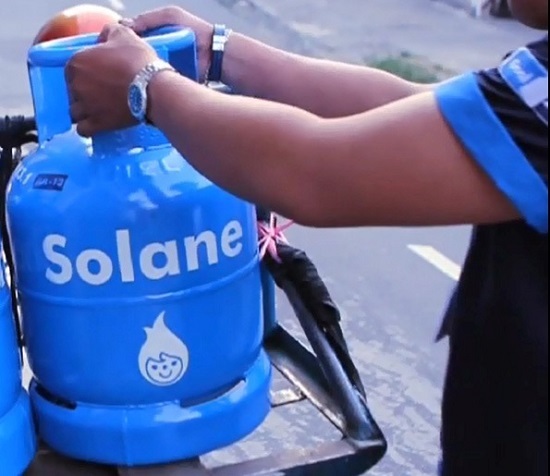 Leading LPG solutions provider Solane offers the Hatid-Bahay service, wherein the order is promptly delivered by its friendly and courteous riders who are well-trained in safety procedures. They conduct a Weight Check in front of customers using calibrated portable weighing scales, assuring households of value for their money. When a customer calls for a Solane Hatid-Bahay service, the order is promptly delivered by its friendly, courteous, and well-trained riders. They then perform the Safety Check on the following: 1) Environment: Cylinders must be in a well-ventilated area, away from sources of ignition; 2) O-Ring: The rubber O-ring inside the valve should be free from scratches or cracks; and 3) Regulator: The regulator is in good condition and replaced every 3 years. Moreover, the riders inspect the 4) Regulator and Valve Connection: The regulator must be securely connected to the cylinder valve. 5) Hose: Must be in good condition and replace after every 2 years; 6) Hose Connection: Metal clamps are used to attach the hose to the regulator and appliance; and 7) Flame Quality: The burner produces a blue flame. Finally, Hatid-Bahay riders conduct a Weight Check in front of customers using calibrated portable weighing scales, assuring households of value for their money. Even better, Hatid-Bahay customers in Metro Manila have a chance to win exciting prizes under the yearlong Solane Hatid-Bahay Promo, when they order via the Hatid-Bahay Hotline at 887-5555, or www.solane.com.ph. Prizes at stake include one year supply of Solane, gadgets, kitchenware, home entertainment, and gift certificates.